The aim of this First Aid Instructor course is to provide you with the knowledge, skills and attitude to train others to be First Aid Responders. Demonstrate competence in the use of the teaching and the audio-visual material provided and technical skills in the use of the product. Demonstrate appropriate class management skills adopting adult learning techniques. Demonstrate appropriate assessment skills using the PHECC material and processes. Demonstrate good verbal and non-verbal communication skills to effectively articulate the required information in an engaging and stimulating way. Demonstrate a mature level of interpersonal skills to develop a good faculty/student/instructor rapport. Demonstrate enthusiasm, motivation, empathy and commitment when presenting the material. Demonstrate effective time management skills to ensure delivery of the entire learning package within course time constraints. Demonstrate appropriate health, safety and welfare throughout the course and risk assessments for scenario work. Ensure currency with all PHECC documentation, standards and examination processes. Demonstrate assessment and evaluation in accordance with the course specific requirements of PHECC. 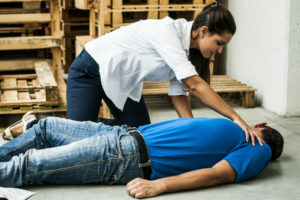 In order to become certified as a PHECC FAR Instructor you must assist on two basic First Aid Responder courses before being finally assessed by Qualtec. Qualtec is a PHECC Recognised Institution. Overall a great (FAR Instructor) Course which gave me the knowledge and skills t present a FAR course with confidence.